For today’s Day 9 Ultimate Blog Challenge post, I want to just briefly cover a couple of popular email marketing platforms and how they stack up based on my experience using them as an end-user and using them with clients over the years. My goal is to write more on email marketing platforms that expand out to also provide CMS capabilities and affiliate marketing platforms, but for today, I want to share an experience I had yesterday with a client, attempting to help her with an imported contact list and sending out an email to this list. It wasn’t as easy as you think it would be. Read on. So here is how everything played out when my client emailed me on Sunday, ready to pull her hair out because she was unable to create an email to send to an imported list she set up in her Mailchimp account. When I read her email, I thought to myself that this is a piece of cake. I know Mailchimp has gone through some recent changes with rearranging their dashboard and adding other features to keep up with the ever-changing email marketing competition. I’ve actually been working with another client that has also been challenged with using Mailchimp, but I was able to set up a campaign for her and send her a how-to tutorial on how to continue to manage it. Great! I felt accomplished for the both of us! What I didn’t expect yesterday was the client I was on the phone with for nearly 45 minutes was attempting to send an email to 2,400 imported contacts and she got stuck after a few hours of managing to get the contacts into her free Mailchimp account. So once I guided her through where she could send an email (in the Campaigns section) of her Mailchimp dashboard, we hit a wall. Because these contacts that were imported were not originally subscribers to the list she created in Mailchimp, it would not allow her to send an email to them. Wow! And here I thought it was just as easy as creating the email and selecting the list you want to send it to. Not so for Mailchimp. So I wasn’t much help to my client, but after all the attempts in figuring out how we could bypass the wall, she asked how well would Aweber work for her email marketing needs. I was honest with her…I have been a long-time user and endorser of Aweber and I never had any issues with their platform. I believe the reason I moved away from them and I’m using a basic platform now is I scaled down on my business and wasn’t collecting anymore leads to my list. Big mistake! My list is super-small right now. I’m not going to lie. But getting back to my client story, I recommended to my client to try Aweber for free for a month, then see if she wants to continue her subscription. I did send her my affiliate link to sign up and not an hour after i sent her that email, she responds back saying not only did she import her contact list into Aweber, but she was able to send out her first email…all of this within an hour! Her purpose for the email in the first place was to send her list a link to a form to make sure they wanted to stay in touch with her. That, in itself, was a nice gesture on her part (not to mention a genius move!). She knew that not all of those 2,400 contacts would be a fit for her business model to begin with. What she did was give her big list an option to stay in touch with her. It wasn’t the quantity of the leads she was reaching out to, but the quality of the leads that will stay engaged with her. That’s a true marketing funnel in the works. So what am I trying to convey to you by giving you just one scenario of what happens when you get frustrated with one email marketing platform and move to another one? In my opinion, it’s what you invest in a program that will allow you the versatility and a good end-user experience that will make the difference in a free or paid platform. I will say this though…three of the biggest features that I absolutely love about Aweber is their affiliate marketing platform,their A+ phone support they offer and the ability to run your blog feed via a custom-made email template. Mailchimp does not offer either of these. There are a number of articles written on what is the best platform for your needs, so if it’s pros and cons you need or if you need a simple comparison chart, I found one that may be most useful as you’re deciding what would be the best email marketing platform for your business. You can read this article or refer to the chart on this page: https://www.getapp.com/marketing-software/a/mailchimp/compare/aweber/. Honestly, after reading over my own post, I’m going back to Aweber to set up my marketing funnel…today! Feel free to leave your own comment below if you are using either platform for your business and how it’s working for you. Or if you have any questions about either platform, leave your question below. I’ll be happy to answer them! I don’t do email marketing anymore – but I used to use Constant Contact. Loved them! I also used to be a Constant Contact trainer. Not everyone needs all the bells and whistles of Aweber, and MailChimp is not really user friendly (in my opinion), I still have my CTCT account and one day I might go back to it. I do have a couple of clients that still use Constant Contact and have for years. It’s got some great features that Aweber and Mailchimp do not have, like their survey and event features. And you are right. Not every business owner needs the additional marketing features both platforms have, so before they delve into using one of them, it’s best to make sure they do their research first and invest in what will be a good start for them, then if they decide to expand, whatever they use will be able to grow with them. Exactly! Due diligence is key. Thank you for that good overview. I currently have MailChimp because I’m still figuring out how to build a list. The biggest reason is that I can do it for free for an extended time. However, I like the fact that Aweber has support. Once I get a list I’ll probably switch over and your review was helpful, thanks. I started my blog in December 2014 and have yet to work on an email list. I’m just going day by day and still learning. 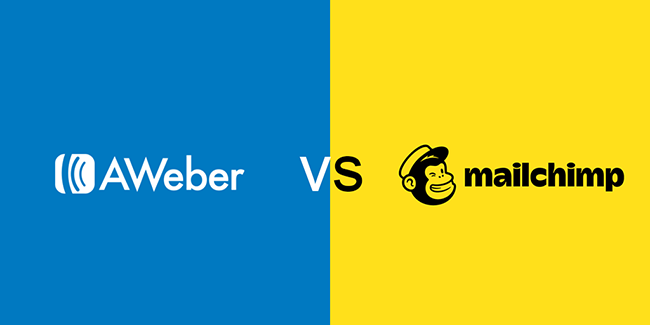 I have used both Aweber and Mailchimp and have been happy with them both. I guess every autoresponder has pros and cons, though. My email list is small but responsive, so right now I have the advantage of still qualifying for the free version of Mailchimp, even though I do actually make money from my list, so I can’t really complain. Glad to hear you’re happy with both platforms, Karen. I think you get so used to one platform that’s a great fit, it’s hard to move to another one and expect to get the same great features. 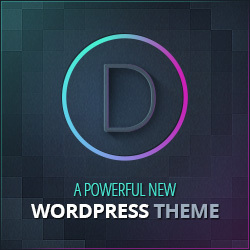 I think I got spoiled and want to go back to what’s comfortable…and that’s Aweber.